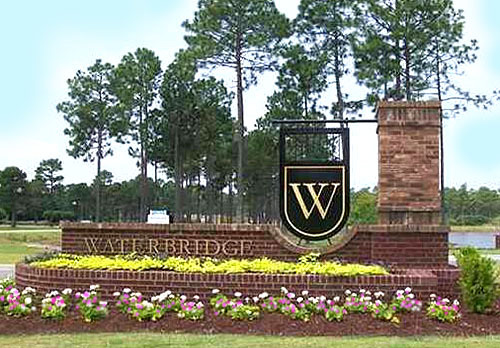 Waterbridge is one of the newest gated neighborhoods in Carolina Forest, opening in 2010. 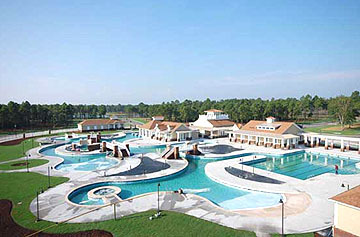 The family-friendly community has an upscale resort atmosphere, featuring coastal style cottages with wrap-around porches on lighted streets. Utilities are all underground which means the panoramic lake views are unobstructed by power lines. These gorgeous upscale 3-4 bedroom homes start around $300,000 with lots available starting at $49,000. Luxury features include things like large bonus rooms, 2 car garages, incredible landscaping, French doors, and bay windows with shadow boxes and window seats. Gourmet kitchens offer fantastic upgrades like granite countertops, stainless steel appliances, breakfast bars/nooks, and walk-in pantries. The open floor plans connect kitchen and dining areas to family rooms, and some have outdoor cooking areas with tiled floors, sinks, counter space, and more for outdoor entertaining. Master suites are sure to please with great features like his and her walk-in closets, oversized master baths with walk-in showers, his and her sinks with granite counters, and lots of storage. The many elegant accents available in these estate homes make them show places. This neighborhood was made for families and children here have access to the great Carolina Forest schools. 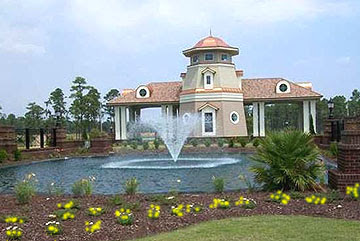 Nestled in Carolina Forest, it is removed from the noise and activity of the Grand Strand and yet the beach and all of the excitement, shopping, and dining options in Myrtle Beach are only about 10 miles away. 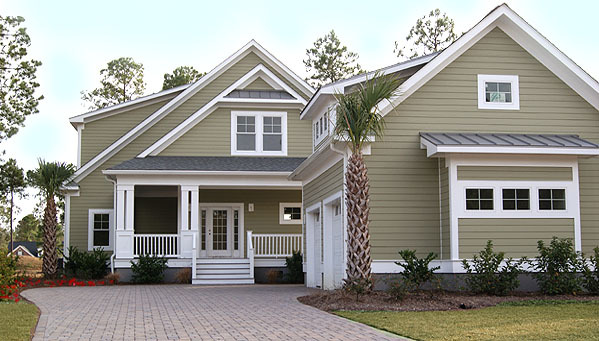 Visit our website for more information on Myrtle Beach real estate and call us today for a tour of the beautiful homes for sale in Waterbridge.